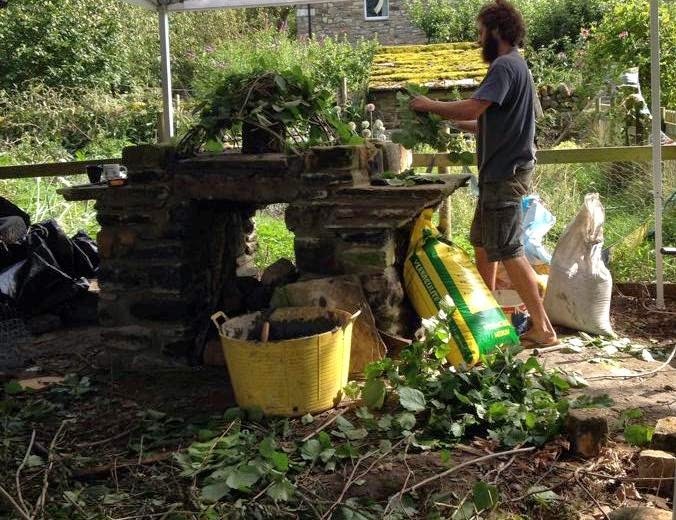 The Bridge Cottage Way is about living sustainably, growing and foraging for food, recycling, reusing, making and mending, and making the most of what we have in order to lead happy and healthy lives. If you've been following the Bridge Cottage Way, you'll no doubt be familiar with my upcycling business, the Woolly Pedlar, where I take old jumpers and turn them into new things. Well, it is with some sadness, but also with great celebration that I am moving all my blogging and writing over to The Woolly Pedlar's new website. The Woolly Pedlar has gone from strength to strength, and I have now created my own website for it, with news of events and new products. In the new year, I will be adding an online shop, but for the time being, I need all my stock for local Christmas Markets. This doesn't mean an end to my writing about living sustainably, but does mean a new platform for it. So, hop over to The Woolly Pedlar's website, and click on the blog page if you want to keep up to date with my ramblings. Thanks to all who have supported and read The Bridge Cottage Way. The wonders of the interent mean that all past posts are there for ever more for all to see! I've been Youth Hostelling a total of four times in fifty years. Pity really, as after this weekend's Open Day at Ninebanks Youth Hostel, I can clearly see that I have been missing out. 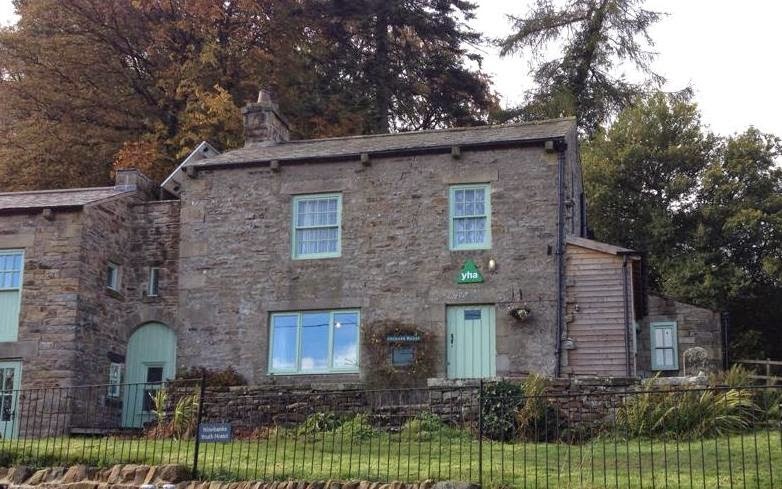 My first experience of youth hostelling was when I was sixteen. 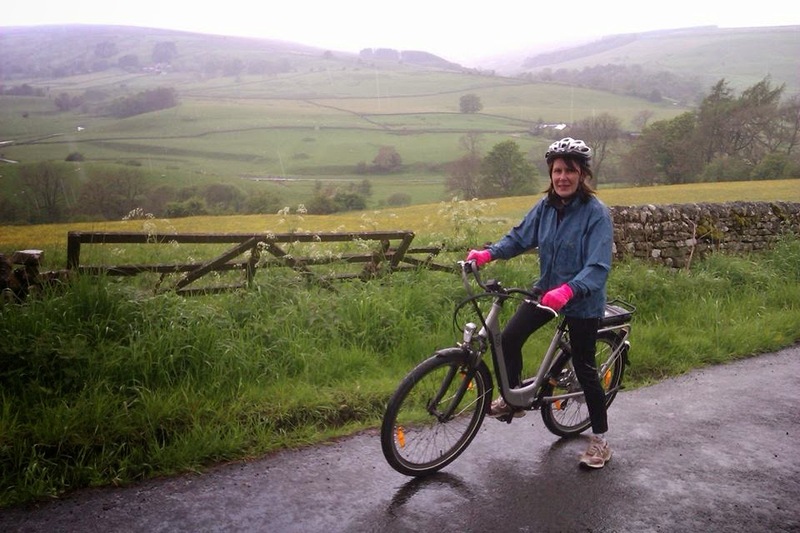 I set off with my giggling friend on our trusty Raleigh Shopper bikes, armed with our compulsory bed sheet sleeping bags, with the plan to cycle between Shoreham and Arundel Youth Hostels in Sussex. We arrived at Shoreham and stayed a night - not much fun as I remember, a bit tame for us two girls about town. 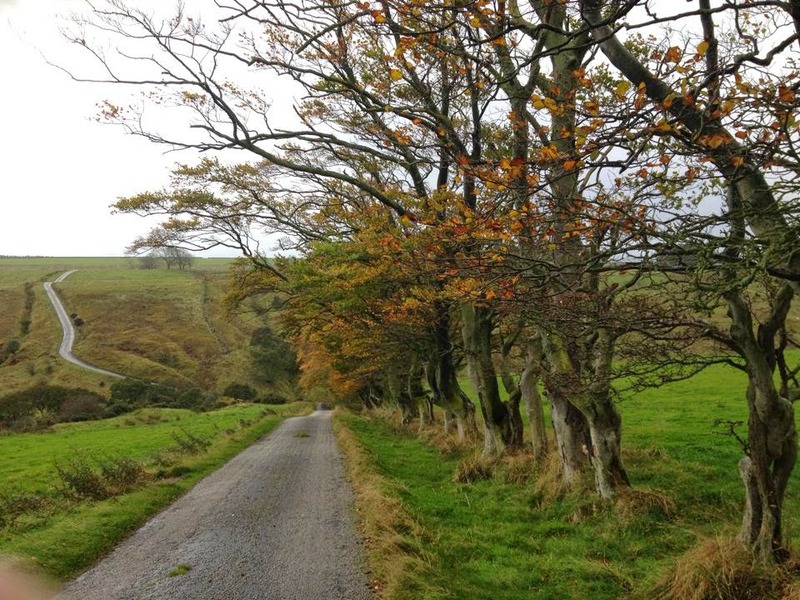 We set off again on our bikes - more suited to cycling round the block to school than to the South Downs hills. We soon gave up, cycled downhill to Shoreham station and put our bikes on the train to Arundel. This was more like it! We soon made friends with 2 lads from the town and,....well, that's another story altogether, and I must get back to Ninebanks. 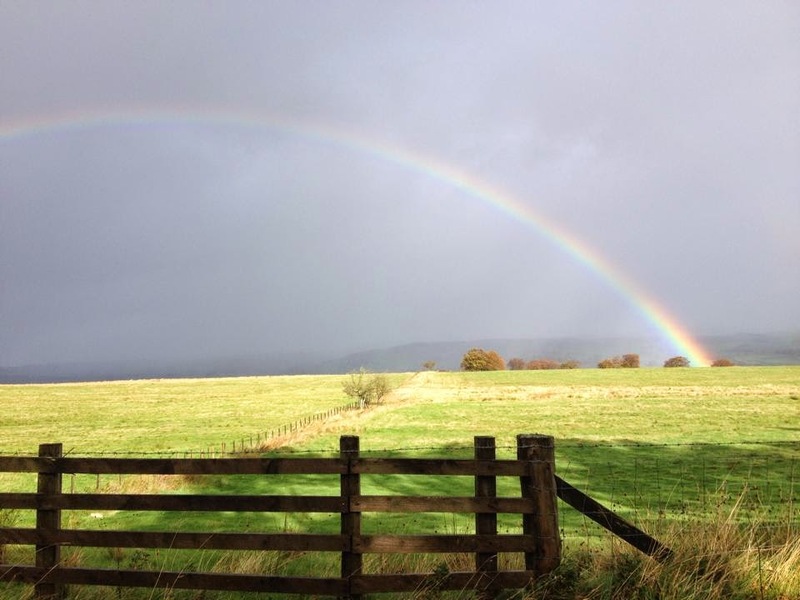 As I climbed the hill away from where we live, having driven through torrential rain, the sun came out and a wonderful rainbow arched the sky. A good sign for the day. possibly? Pauline and family run the Youth Hostel, and inside, a warm welcome awaits from the roaring log fire in the quaint little sitting room. This is not all though, and downstairs another large room provides ample space for parties, alongside the well equipped kitchen. 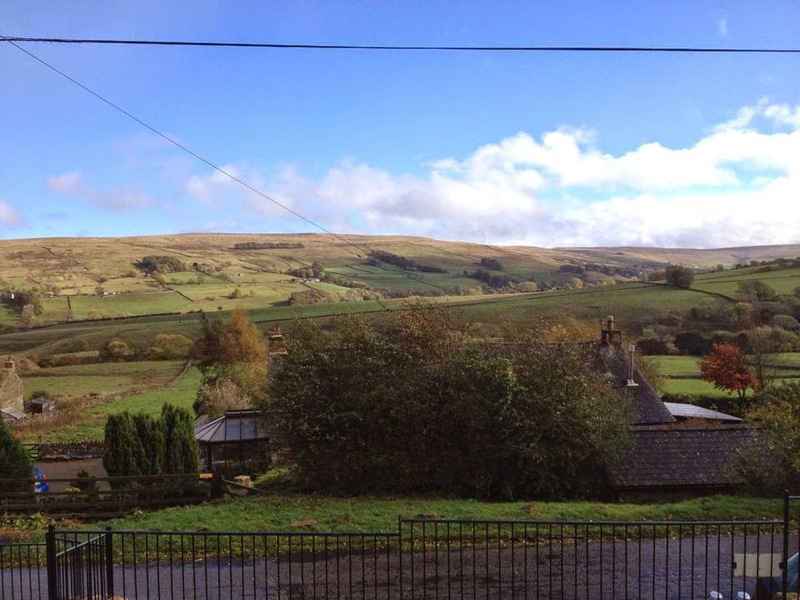 Bedrooms are no longer of the girls and boys dormitory variety as with my first youth hostelling experience, but cosy ensuite or shared bathroom bedrooms sleeping small groups, families or couples. They had a small shop with sold food, alcohol and other necessities - I did also spot a basket of The Woolly Pedlar's scarves, hats, armwarmers in case visitors came unprepared for the North Pennines temperatures! Pauline had invited The Woolly Pedlar and Jo Sews Handmade, another local business, along as examples of some of the crafts made locally. As I unloaded my woolly wares from the car, the rain clouds cleared and the sun came out, revealing the fantastic view of the hills from the hostel door. I noticed several seats placed outside the hostel and thought what a lovely spot to sit after a day's walking or exploring. Jo set up her display of beautiful quilts and adorable quilted advent candendars. I set up my blankets, jumpers, armwarmers and scarves. I had a lovely afternoon, chatting to all the folk who had come to support Pauline on her Open Day. I talked to one lady, a bereavement counseller about my memory blankets. I make throws from the jumpers given to me by customers when a loved one has passed away. She thought this a very good idea, and we exchanged details. I couldn't take all my current stock along, and so we made arrangements for another lady to come round to Bridge Cottage to try some things on. Oh yes, and Pauline's brother bought a scarf, and very handsome he looked in it too! 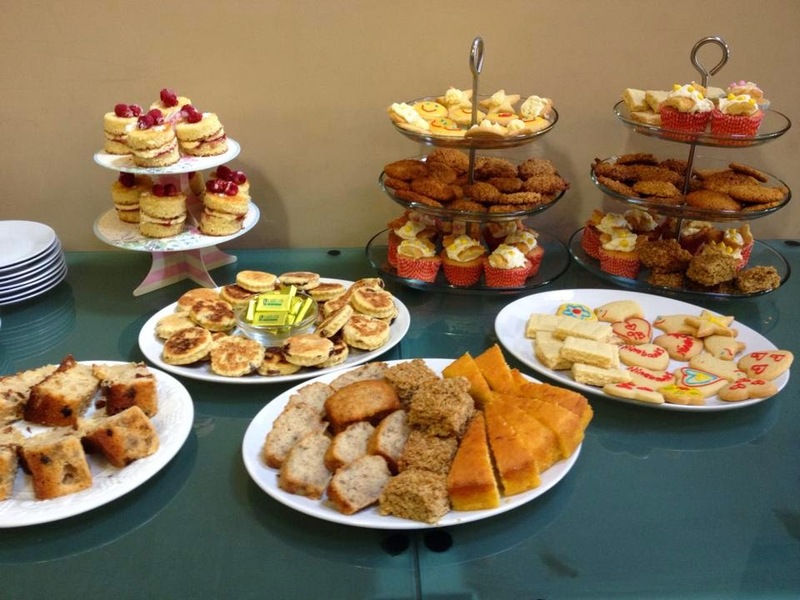 Perhaps the highlight of the afternoon, was the fabulous spread of cake that Pauline and her family had provided. I had an inkling there would be some of Pauline's famous home baking, and made sure I went without my lunch so I had room for cake! 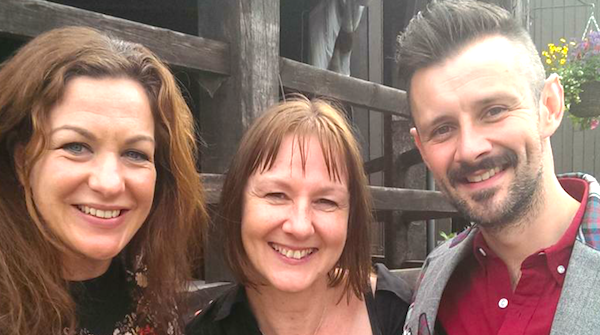 Thanks Pauline, Tess and Kate, I had a lovely afternoon. Thanks for reading! I'm out and about selling my woolly wares next at Kirkharle, birthplace of Capability Brown and another beautiful Northumberland spot in the country. 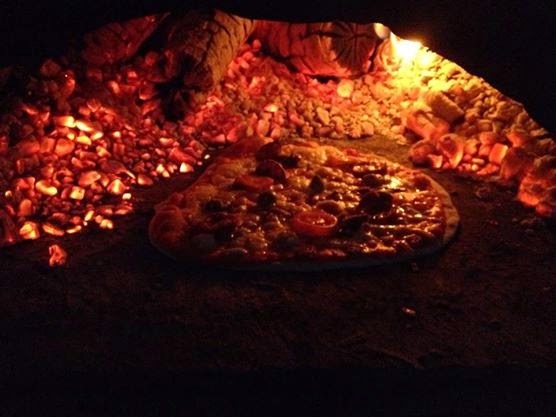 We've just finished building a pizza oven in the garden and it makes the best pizzas I've ever tasted. That's the 'royal we' of course. It was actually my friend Harry who built the oven for us. It's been a wonderful addition to the garden and a real focal point. It's extended the summer feeling well into the autumn as we've eaten and partied outside on many days and evenings recently when we might have typiclly been indoors. As far as raw materials went, we mainly used what we could find round here - we had a bit of stone left over from building the base of the greenhouse, and we also took some stone from the river that runs through the garden. We live near a pottery, who kindly donated a big sack of clay dust that had collected by the side of the wheel, and the roof slates were left over from renovating our house roof. I love this design, with the two shelves either side - perfect for rolling out dough and prepping the pizzas. 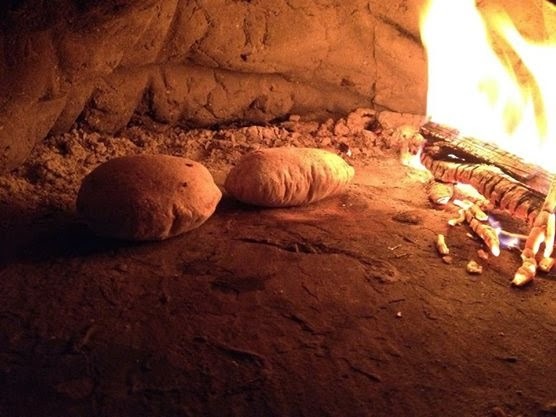 So the two supporting walls were built first, followed by the lintel and the shelves followed by a large stone slab that would form the floor of the oven. A a bentwod done was built using hazel twigs and then a dome was shaped over the top made of clay mixed with straw, which would give good insulation. 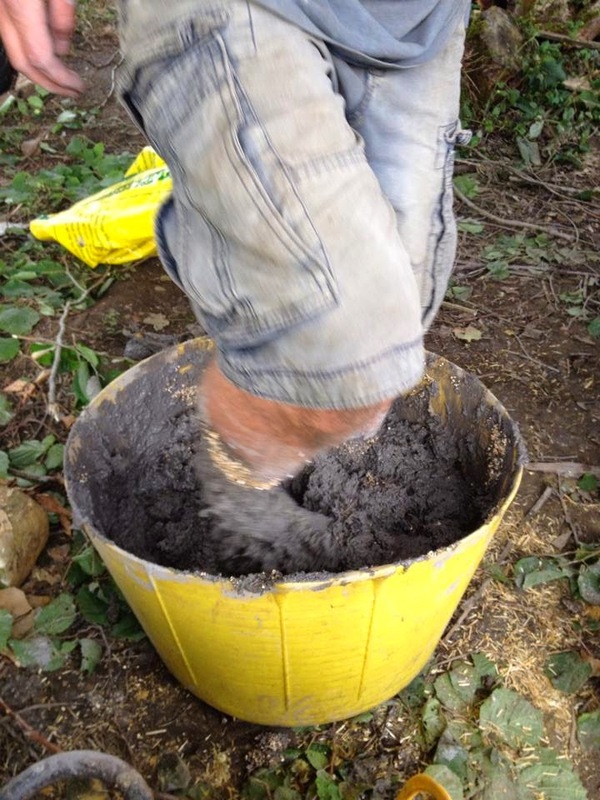 Harry wasn't adverse to getting grubby, and was happy to mix the clay and straw with his feet! We covered the works with a gazebo to keep the rain off while the clay dome dried. Finally, Harry covered the dome with soil for more insulation, and then built a lovely roof from stone slabs. Eh Voila! A perfect pizza oven. Time for a pizza party! My son turned 18 last week, and had an outdoor pizza party for his mates. We had a production line in operation, with my son rolling out, me prepping and serving, and my husband cooking. Between us we cooked and served 20 pizzas! I recently went to Florence, and I can honestly say that although we ate pizza almost every day, not one was as good one from our own clay oven. Once the fire has got good and hot, having been full of dry wood, the fire is pushed to the back and the stone slab cleared. It takes no time at all to cook a pizza - just a few minutes. Pitta bread (above) is so simple to make and rises up in seconds to make a delicious flat bread. It's been a bumper year for tomatoes, and as the oven cools down, we do trays of 'oven dried tomatoes' which are great stored in olive oil and then added to salads and pasta dishes. 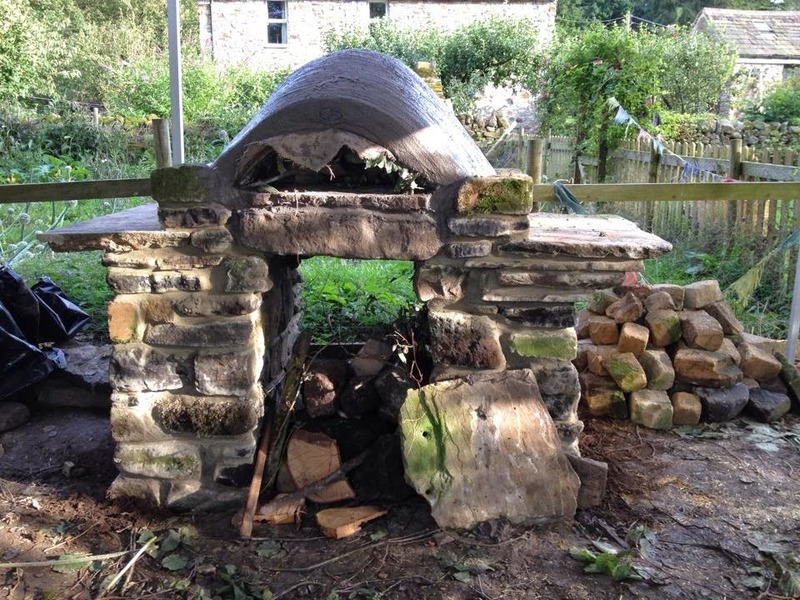 I'm really grateful to our friend Harry for his pizza oven building skills. We're enjoying many more alfresco meals, and enjoying being outside watching the sun go down in the evening. When it gets dark we light the fire in the recycled washing machine drum which we use as a fire pit and turn on solar fairy lights. Now you'll have to excuse me, my pizza is ready! It's Wool Week, so 'Why Wool'? This week sees the Campaign for Wool launching Wool Week 2013 across the UK, and the following week is Shetland Wool Week, so it seemed a fitting time to write a piece about why I use wool in my work as the Woolly Pedlar. The Campaign for Wool was started by HRH the Prince of Wales, to help raise awareness of the unique, sustainable and practical uses of wool, and it is for exactly those three reasons that I choose to use wool in my work. There is no other fibre quite like wool, and although there may be many a piece of knitwear made from man made substitutes like acrylic, wool is instantly recognisable by its feel and quality. 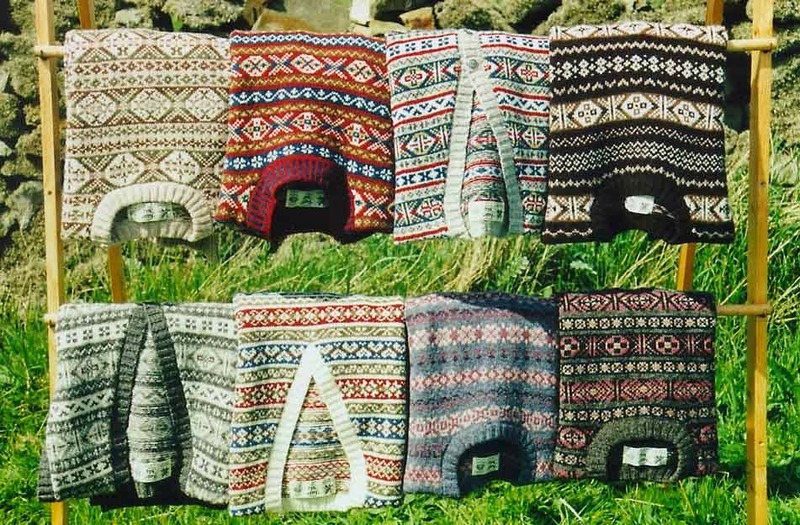 I get lots of offers of jumpers to recycle from local folk who have been having a clearout, but I only ever accept wool. Acrylic is so shiny, and thin, and to me has a nasty feel about it, where as wool is warm, snuggly and comforting. I make blankets from recycled wool jackets, and these are immensely thick and warm, lasting a life time, unlike their poorer synthetic cousins.This week a lady purchased one of my thick bedspreads for her daughter who is freezing in a cold student apartment. Wool has a wonderful structure about it. In my work, I hot wash wool jumpers and then cut them into pieces before sewing with an overlocker. I find it a joy to cut into, and dependable, not curling or shrinking, but lying flat and solid, waiting to be crafted. Those heading up to Shetand for the Shetland Wool Week will not need to be told about the unique patterning that can be found in wool garments, and I get very excitied when I find Fairisle jumpers to use in my designs. I recently make this sweatercoat entirely out of recycled Fairisle and patterned jumpers. I was bought by a lady from California who is currently waiting for temperatures to cool down enough for her to wear it. Wool is an entirely natural product, created in the skin of sheep, as as long as there is grass for the sheep to graze on they will grow a fleece every year, making wool a renewable product. Colour is very important to me in my work, be it in a kaleidoscope of colours in the sweatercoat above, or in something more subtle. I am always delighted to see the wonderful colour combinations and possibilities that can be found in wool knitwear, and like nothing better than getting a load of jumpers back from the laundry, ready to be put into piles for new projects. Here is the latest haul of recyced wool knitwear, back from the wonderful Laundry Gallery in Hexham, who have just washed three huge sacks of woollies for me. Cameron and Carrie, who run the laundry took some persuading to put all my woollies through a hot wash and spin, but they do so, and the resulting material is just perfect for my woolly pedlaring. For more general information and facts about wool, head over to The Campaign for Wool's website. Thanks for reading this short post about wool and why I use it. I'm running a free giveaway of an infinity scarf and armwarmer set on my Facebook page this week in celebration of Woolweek, inviting folk to like, comment and share to be in with a chance to win in a random draw on Friday 10th October. Do join in of you get to read this post in time! Do leave a comment below and tell me why you like wool. 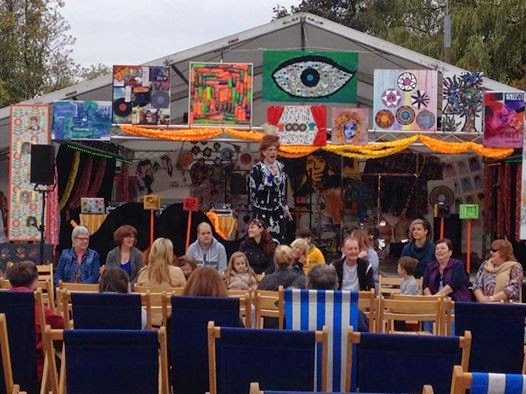 Last year I got a whisper that The Festival ofThrift, a celebration and showcase of thrifty living, recycling and reusing, was coming to Darlington. However, with a late festival appearance for the Woolly Pedlar at Solfest last August Bank Holiday, I didn’t think I’d over stretch myself and failed to apply. 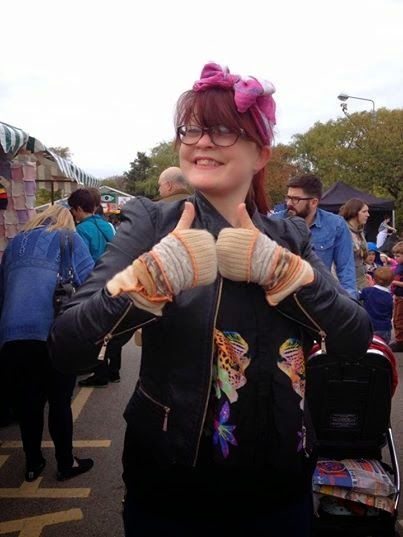 After talking to Sarah from the artisan hub, Creative Up North, who had traded there in 2013, told me how amazing it had been, I soon regretted my decision and vowed to get my application in as early as possible the next year. 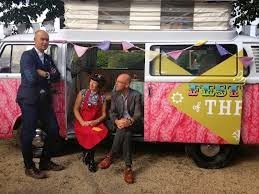 The Festival of Thrift is a free 2 day event of epic proportions, led by John Orchard and designers Wayne and Geraldine Hemmingway. It is held in the vast grounds of Lingfield Point, Darlington in the North East of England, about 2 hours drive from Bridge Cottage. Lingfield Point is a vast industrial site, the location of the former Patons and Baldwins wool factory, but now is home to a variety of north east businesses. 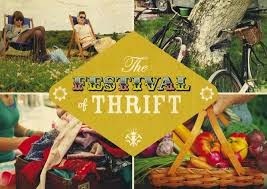 The Festival of Thrift is all about being thrifty by recycling, reusing and reducing the mass consumption of our planet’s precious resources. 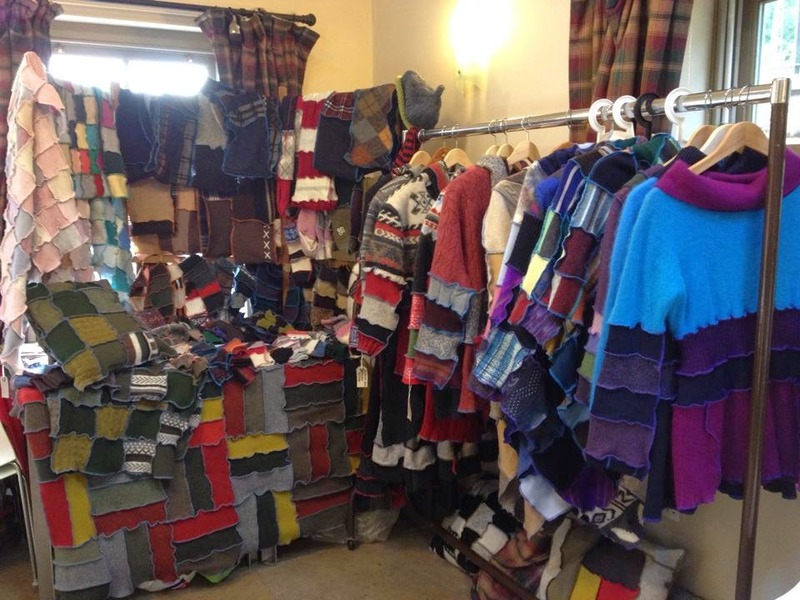 As upcycling is my game, as The Woolly Pedlar, saving woollens from landfill and creating unique clothing, soft furnishings and accessories from jumpers others have finished with, the Festival of Thrift, held in an old wool factory was too good an opportunity to be missed. I was delighted when my application to join the fun and games in 2014 was approved. After a night in the conveniently situated Travelodge, a stone’s throw from Lingfield Point, I arrived at 6.30 ready to set up my stall. There was a buzz of anticipation as stall holders began setting up and chatting about their expectations and memories of last year’s Festival of Thrift. It actually took me four hours to set up my stall! I often panic just before an event that I haven’t made enough stock – I don’t think this was the case this weekend. It was lovely when folk asked if I’d made everything myself, and I felt myself patting myself on the back – well done girl, you did it! Next to the stage, was a large Oxfam stall which accepted folks’ donations of clothes and bric a brac and in turn gave vouchers for the Swop Shop where new items could be got. At the end of each day was a fashion show, showing some of the best thrify and ecofashion outfits which had been spotted around the site over the weekend. It was great to see my good friend Alana Sellers from Dress Upcycle strutting her stuff. Dress Upcycle helps folk develop their style, understanding what colours work best for them, and can offer a wardrobe revamp, helping you use what you already own in new and stylish ways. 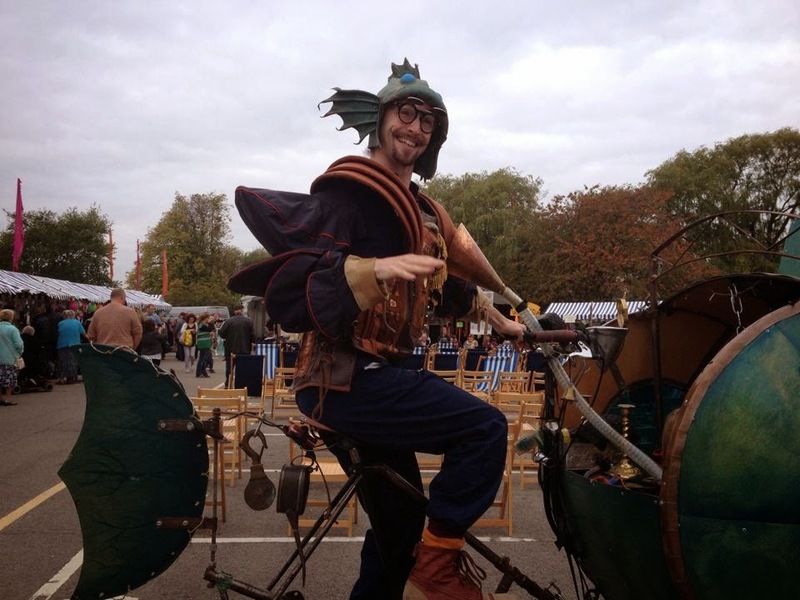 Flying round the arena in style, and much to the delight not only of the children being given a ride, but everyone else was Pif-Paf and his amazing Submercycle, closely followed by Jean and Morag, the hilarious tea ladies on their decorated wheels. 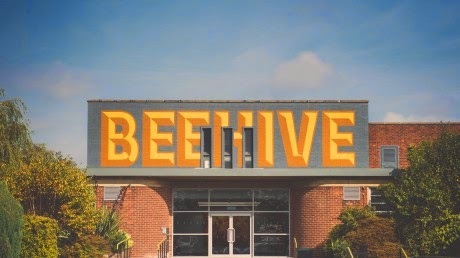 Unfortunately I can only write about what I saw in the Beehive Arena which was just a fraction of the whole site. 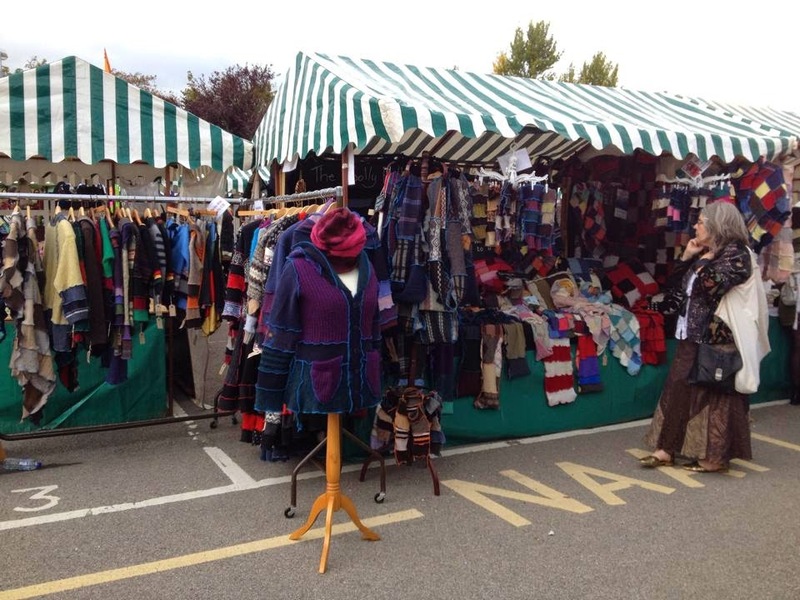 It was so busy at my stall I only had time to pop to the loo once in the day, and certainly did not get time to look round the other stalls as I was flying solo this weekend. 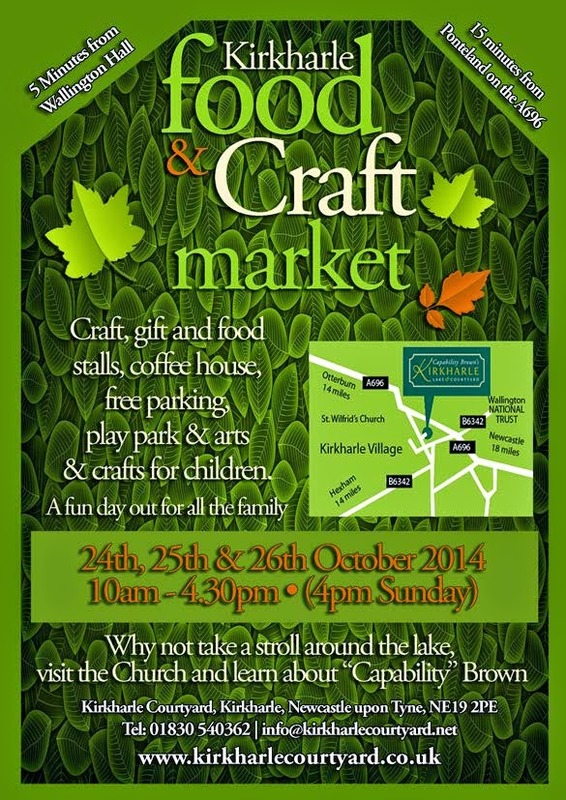 I understand from other traders and fellow upcyclers that the other areas were equally as busy. In fact, the Festival of Thrift saw crowds of 40,000 attending over the weekend. One lady, who bought this jacket from me had travelled all the way from Wales. I love the community of fellow artisans I have got to know over the three years I’ve been woolly pedlaring, and this community just keep on growing. At the Festival of Thrift I met the lovely couple who run Mabel and Mary's Pantry, and Bev from Veloculture was who makes accessories from recycled bike inner tubes, and whose work I’ve admired for a while – I had hoped to buy some of her wares to tuck away for the lads at Christmas, but will have to go over to the Etsy shop as time didn’t allow this! The support on social media amongst us small businesses in the north east is awesome and many of us have met through Twitter and Facebook. Jan from Berkano Wood, is one such lady, and I was touched that Jan found time twice in her busy weekend to pop over and see how I was doing – Thanks Jan, I really appreciated it. Sales for the Woolly Pedlar were really good, and I meet some lovely people, whose encouragement and kind words about my work meant so much. It was great to see folk who I’d chatted to on Facebook, and Twitter, and to meet friends of friends. On such lady asked to take our photo so she could send it to her friend Karen Ellis in Australia. 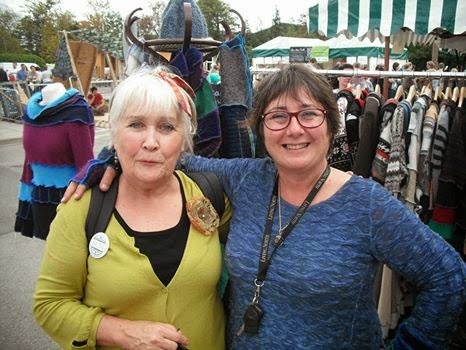 Coincidentally I also know Karen, but virtually, through her blog ‘RUDE’’ Karen is a passionate supporter of thrifty living, and she herself scours landfill for useful clothes and objects. It was so good to attend an event were the focus was on upcycling and reducing waste by using things again. This exactly where I am coming from, by repurposing jumpers that were destined for landfill. I go on listing the amazing small businesses, staff and volunteers that made the Festival of Thrift such an awesome event, but it’s time to sign off now. I would like to say a huge thank you to the unflappable Alex who looked after us traders so well, and to all the volunteers who worked tirelessly to make this such as huge success. 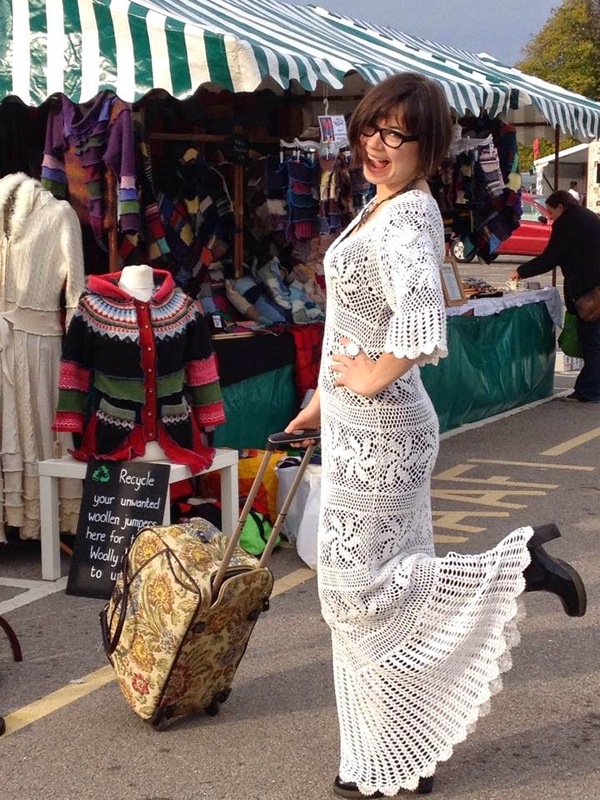 Bring on the Festival of Thrift 2015! 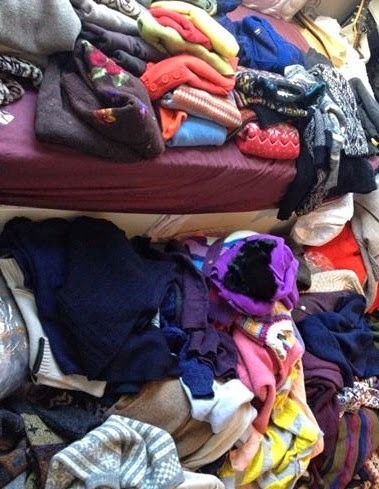 Reduce, Reuse, Recycle - Bring Back Jumble Sales!